Just looking? 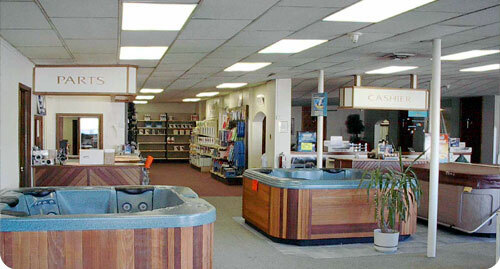 Browse our displays of spas, and accessories or relax by our indoor pool as you look over brochures or chat with us. : Adirondack Pools & Spas, Inc.
Adirondack Pools & Spas, Inc. The friendly staff at Adirondack Pools & Spas is here to help. We're minutes from I-87 exit 19! We'd love to answer your questions. Just looking? Browse our displays of spas and accessories or relax by our indoor pool as you look over brochures or chat with us. We all need toys, water basketball, dive rings and the oooh... so comfortable, floating lounge chairs. Need pool & spa maintenance supplies? We carry several brands of vacuum heads, hoses, leaf rakes and brushes. It's in stock and it's on the shelf. We carry the best in water maintenance chemicals for swimming pools and spas. Bring a sample of your water. We offer FREE testing, prescribe exactly what you need and offer advice on how to keep your pool or spa water balanced, clean and crystal clear. Pool needs a spruce up? Adirondack provides complete swimming pool restorations including liner replacement, plumbing upgrades and new patios.